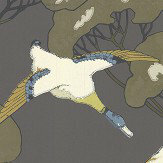 This design features the famously iconic 'flying ducks' in a hand painted effect. 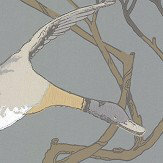 Shown in pale brown and Stone - other colour ways available. Please request a sample for true colour match. 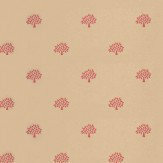 Small stylized Mulberry Tree motif in Red on a mottled Sand background. Other colour ways available. Please request a sample for true colour match. 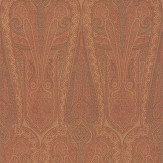 An all over wallpaper design, featuring a classic damask pattern with a distressed effect. Shown here in spice orange. Other colourways are available. Please request a sample for a true colour match. 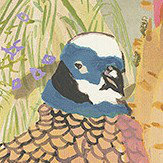 Watercolour depictions of a mix of game birds hiding in long grasses and bushes. Rendered in a series of soft warm bright colours. Other colourways are available. Please request a sample for a true colour match. 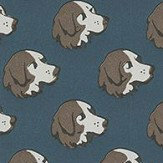 Playful pattern made from diagonal rows of drawn dog heads. The images are rendered in dark brown colour set against an indigo background. Please request a sample for a true colour match. Actual pattern repeat is 12cm not as shown below. 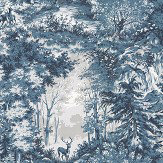 A charming scene of a woodland glade with deer - a classic country interior. Shown here in the deep indigo blue colourway. Other colourways available. A wide width and paste the wall product. Please request a sample for true colour match. 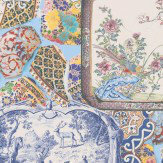 A stunning collage of china and porcelain plates. Shown here in the multi colour way. Other colour ways available. A wide width and paste the wall product. Please request a sample for true colour match. 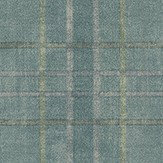 A distressed tartan print, the background block rendered in muted teal tones with thin washed-out dark blue and cream accent stripes. Other colourways are available. Please request a sample for a true colour match. This is a wide-width paper. 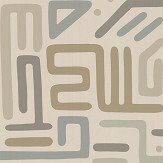 An contemporary wallpaper design featuring various motifs of abstract shapes. 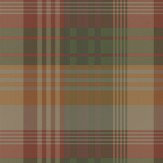 Shown here in the Stone colourway. Other colourways are available. Please request a sample for a true colour match. 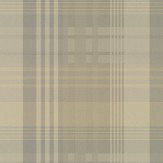 A traditional plaid design with checks in shades of grey, beige and white. Other colour ways available. Actual pattern repeat 26cm. A paste the wall product. Please request sample for true colour match. 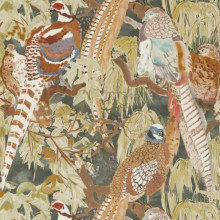 Watercolour depictions of a mix of game birds hiding in long grasses and bushes. 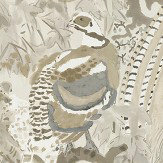 Rendered in a series of soft warm greys and stoney browns. Other colourways are available. Please request a sample for a true colour match. This is a wide-width paper. 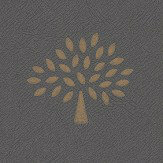 A simple wallpaper design featuring a motif of the iconic Mulberry tree, printed on a paint effect background. Shown here in the charcoal colourway. Other colourways are available. Please request a sample for a true colour match. Pattern repeat is 26cm, not as stated below. 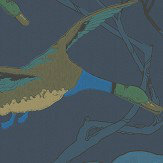 This design features the famously iconic 'flying ducks' in a hand painted effect. Shown here in charcoal - other colourways available. Please request a sample for true colour match. 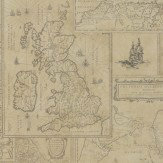 An all over vintage map design. Shown here in the multi colour way. Other colour ways available. A paste the wall and wide width product. Please request a sample for true colour match. 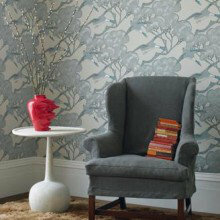 A simple wallpaper design featuring a motif of the iconic Mulberry tree, printed on a paint effect background. Shown here in the stone colourway. Other colourways are available. Please request a sample for a true colour match. Pattern repeat is 26cm, not as stated below. 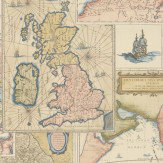 A beautiful Bohemian eclectic collection of wallpapers from Mulberry, including some of their classic tartan checks, together with map and collage designs inspired by travel and combined with some textural wood and leather effects, Brought together with their existing favourite - Family Silver. 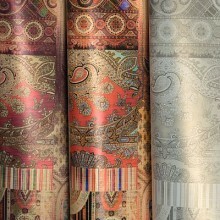 A new collection called Heirloom by Mulberry Home. 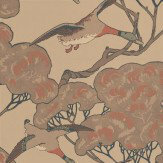 This outstanding group of strikingly individual wallpapers encompasses both bold and subtle designs. the ravishing painterly blooms of 'Garden Peony' have been sourced from a nineteenth century block print and the glamorous 'Heirloom Paisley' inspired by a magnificent Indian shawl. 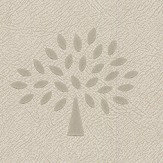 The collection also includes the famously iconic Mulberry Home 'Flying Ducks', the softly delineated 'Faded Damask', the small stylised 'Mulberry Tree' and the beautifully balanced 'Narrow Ticking Stripe'.